These instructions are for a personal device. 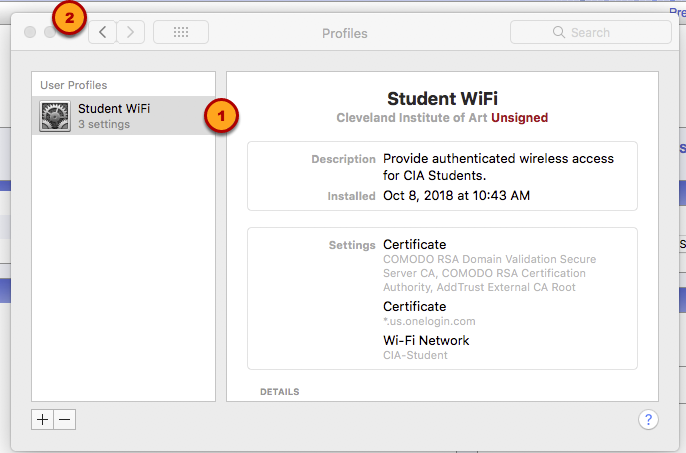 Contact support.cia.edu if your CIA issued device is not connecting to a wifi network. 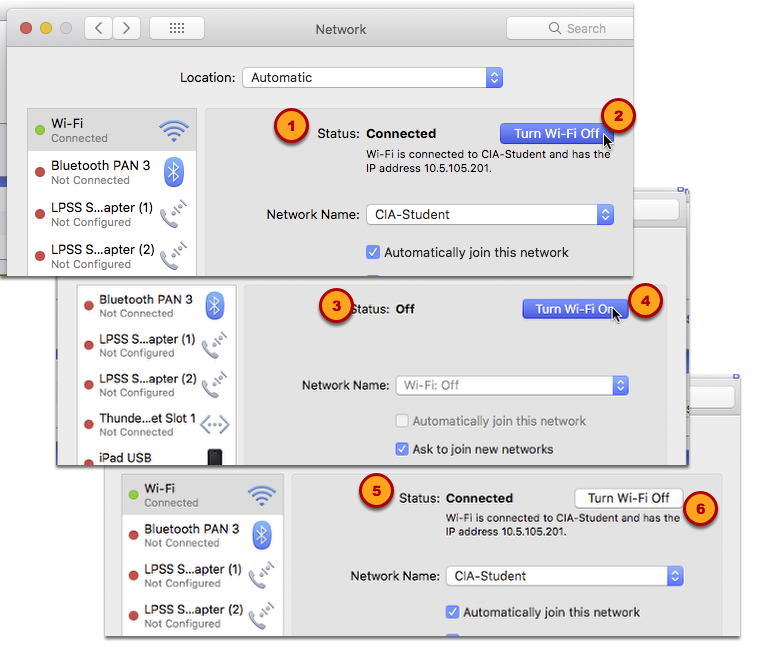 You must perform this connection while on the CIA campus in the Academic building in order to complete the process without interruption. 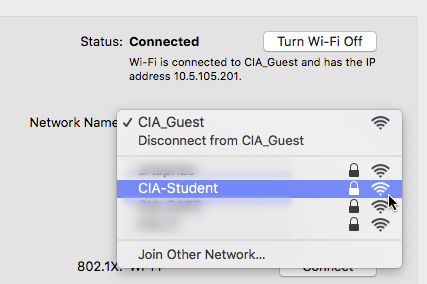 Connect to the CIA guest network or another wifi network. 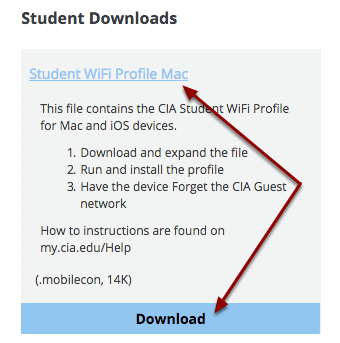 You will need an internet connection in order to download the CIA WiFi profile for your personal device. 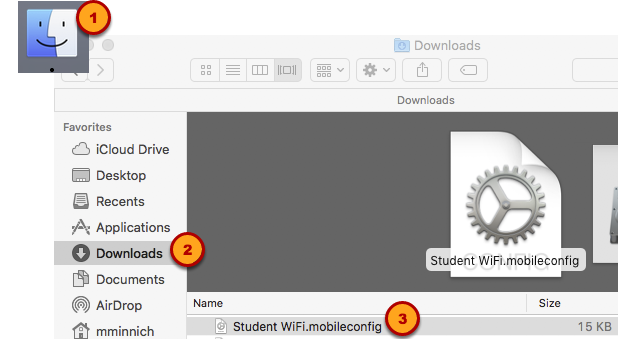 Look for and select the appropriate WiFi profile download link. 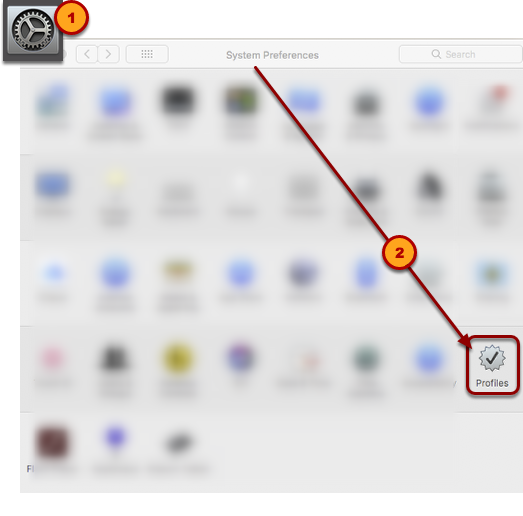 Choose where you want the download to be saved. so you can find it after the download. The install dialogue will appear. You will be asked to confirm you want the profile to install, because this is an unsigned internal profile. You will need to provide your Computer Administrator's user name and password. This Profile is not for CIA equipment it is only to be used on personal devices. 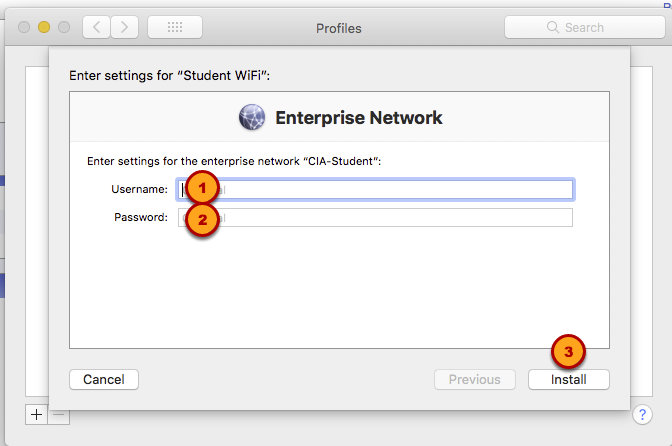 After the WiFi profile is installed it will appear under the User Profiles. 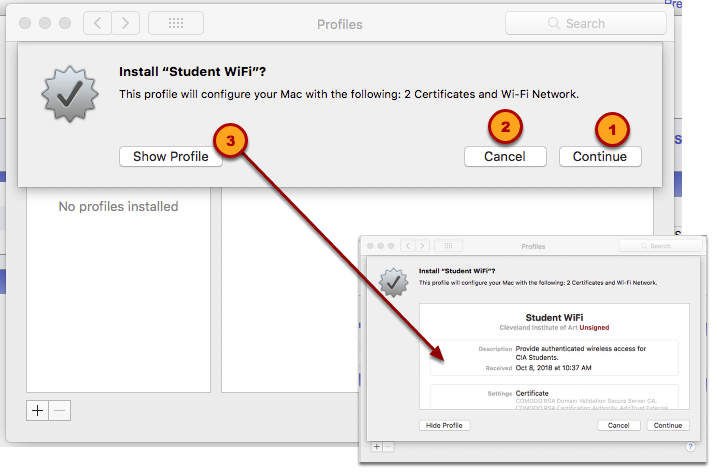 It will need to be selected as your preferred network while on campus. Otherwise the Guest Network will continue to be the default. Need help finding the user profile window? 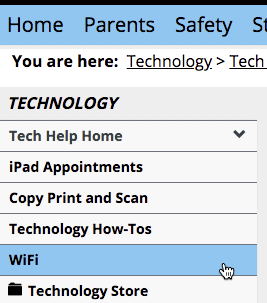 Click the < back arrow to view the Network Settings. 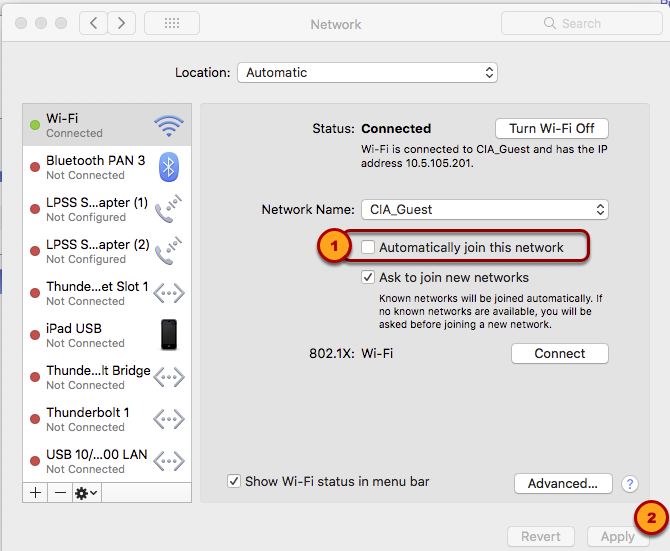 Uncheck "Automatically join this network"
Now CIA_Guest is no longer the default network for your device. You still have to choose the new network though. So keep reading. 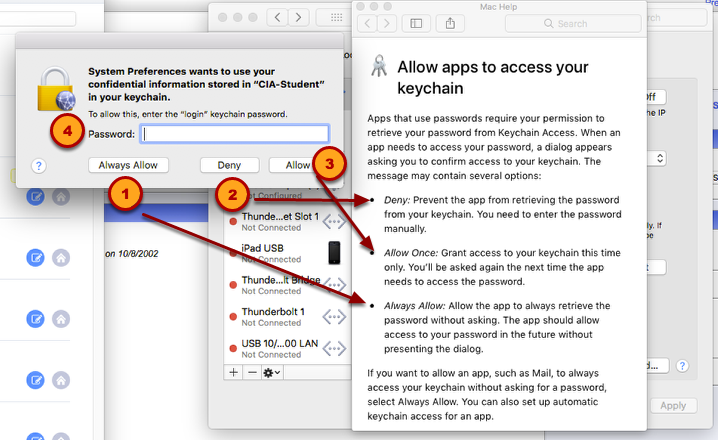 You now have the choice of allowing the Mac keychain share information with the Network profile. 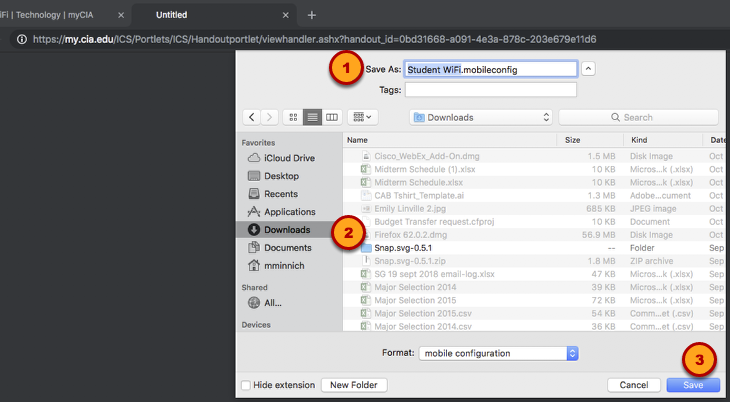 Remove an installed profile by selecting it from the list of installed user profiles and selecting "-"
How do I provide advisors basic access to my course? How do I show or hide a page? How do I add a test from my File Cabinet to a course? How do I turn off Attendance as a grade? 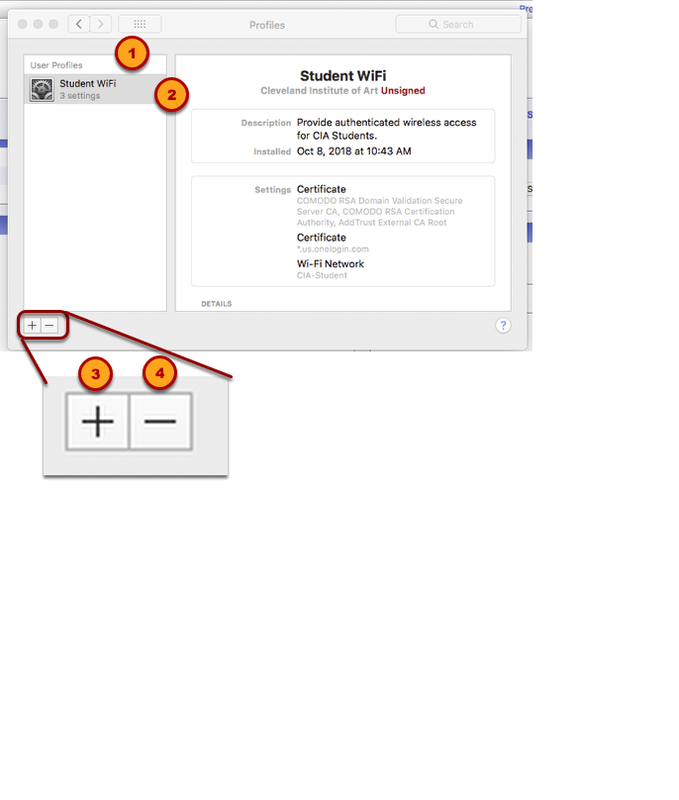 How do I change the visible term in Faculty Course Control? How do I add members to my group? How to get my archived course evaluations. How to reserve the Fabrication Studios for your class.